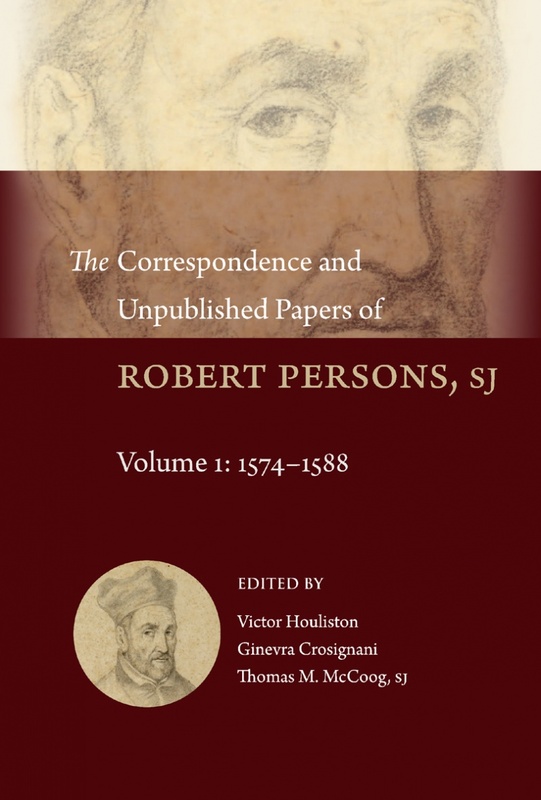 This book is the first of a projected three-volume edition which aims to contribute to our understanding of Robert Persons’s significance in early modern European history. It includes documents and letters by Persons, as well as letters to Persons, notably from the superior general of the Society of Jesus, Claudio Acquaviva. Letters in Latin, Italian, and Spanish are presented both in the original language and spelling, with English translation, and letters in English in original spelling. All letters have been collated with the extant manuscript witnesses. The introduction comprises Persons’s biography, relevant aspects of early Jesuit history and the Jesuit mission to England, and overviews of the papacy and the political situation in England and Scotland, France, the Netherlands, and Spain, for the period 1574–88 covered by the letters in this volume. Victor Houliston, chief editor and director of the Robert Persons correspondence project, is a graduate of Magdalen College, Oxford (1986). Since 1988 he has been teaching at the University of the Witwatersrand, Johannesburg, where he is Professor of English Literature. His field is early modern literature, religion and politics; he has published a critical edition of Persons’s Christian Directory (1582): The first booke of the Christian exercise, appertayning to Resolution (1998) and an analysis of his career as an author, in Catholic Resistance in Elizabethan England: Robert Persons’s Jesuit Polemic, 1580–1610 (2007). Ginevra Crosignani, Italian specialist and co-editor, received her PhD from the University of Rome, “La Sapienza,” in 2002. She has taught at Caltech (Pasadena, California) and at San Diego State University, and is now based in Rome. Her research interest is early modern religious history, with special regard to the phenomenon of religious conformity in Elizabethan and Jacobean England, and the rise of casuistical literature. She has published with the Institutum Historicum Societatis Iesu and in the Jesuit journal, Archivum Historicum Societatis Iesu, and co-edited Recusancy and Conformity in Early Modern England (2010) with Thomas M. McCoog, SJ, and Michael C. Questier. Thomas M. McCoog, SJ, historical consultant and co-editor, received his doctorate from the University of Warwick in 1984. Currently curator of the Avery, Cardinal Dulles Archives (Fordham University), he commuted between London and Rome for over twenty years. In London he was archivist of the British Province of the Society of Jesus; in Rome, editor of the publications of the Institutum Historicum Societatis Iesu. Several of his essays have been collected in “And touching our society”: Fashioning Jesuit Identity in Elizabethan England (2013). His most recent monograph is The Society of Jesus in Ireland, Scotland, and England, 1598–1606: “Lest Our Lamp be Entirely Extinguished” (2017).